At least 12 people died on Monday (December 12) after Cyclone Vardah hit the coastal districts of Tamil Nadu and Andhra Pradesh with a wind speed of 120 and 130 kmph. It was the most intense storm to have hit Chennai after the infamous cyclone in 1994. The offices and educational institutions in the affected districts, including Chennai, will remain shut today. The cyclone not only uprooted trees and affected power lines but destroyed several houses, especially in coastal parts like Foreshore Estate, Kottivakkam, Palavakkam and Royapuram. According to the disaster management authorities, four people were killed in Chennai, two each in Kancheepuram and Tiruvallur, and one each in Nagapattinam and Villupuram. About 8,000 people from low-lying areas in Tiruvallur district and Kanchipuram district were evacuated to 95 relief shelters. In Andhra Pradesh, over 9,400 people, living along the Bay of Bengal, were evacuated to relief camps. While the worst is over for Tamil Nadu, isolated heavy rain is expected over north Tamil Nadu and adjoining areas of south interior Karnataka in next 12 hours. 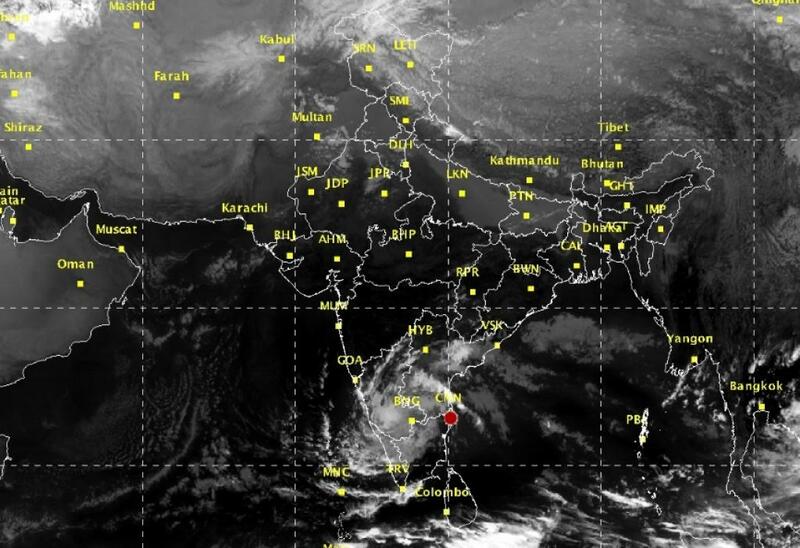 The civic authorities in Bengaluru have been asked to stay alert as the cyclone is likely to bring in strong spells of rain today (December 13). According to the Karnataka State Natural Disaster Monitoring Centre (KSNDMC), Bengaluru is expected to get moderate to heavy rainfall (between 7.5mm to 34.5mm of rain), the outskirts will receive far more rain. An advisory for flood alert and strong winds has been issued. The cyclone will pass over south Goa on December 14.